THE 2016 ENDEAVOR YOUNG PROFESSIONALS SUMMIT IS A WAY FOR YOUNG PROFESSIONALS TO FEEL INSPIRED, STAY CONNECTED, AND GET ENGAGED IN OUR COMMUNITY. 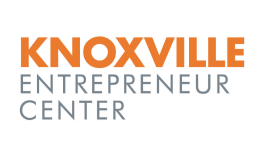 Knoxville is rapidly changing, and it is time for the next generation of leaders to take a seat at the table. Meet our region’s thought-leaders, our change makers, and our innovators. Come join us as we celebrate the Knoxville region and redefine what it means to be a young professional. We will dive deep as we find ways to engage ourselves, our careers, and our community. THIS DAY-LONG EXPERIENCE WILL FEATURE TWO INSPIRING KEYNOTE SPEAKERS AND THREE BREAKOUT SESSIONS WITH MULTIPLE OPTIONS, SO YOU CAN BUILD A UNIQUE SCHEDULE FOR THE DAY – TAILORED SPECIFICALLY TO YOUR NEEDS AS A YOUNG PROFESSIONAL. Learn how to navigate the many challenges in the workplace effecting young professionals such as work-life balance, increasing self-awareness, & becoming an effective leader. Discover your next career step and allow our experienced speakers guide you through topics like career changes, innovative industry ideas, & building and efficient team. Where do you want to see Knoxville in 25 years? Meet our region’s change-makers & get involved with the transformation of our community. Stop by the non-profit corridor located inside the Mill & Mine and learn how you can get involved in the Knoxville community!